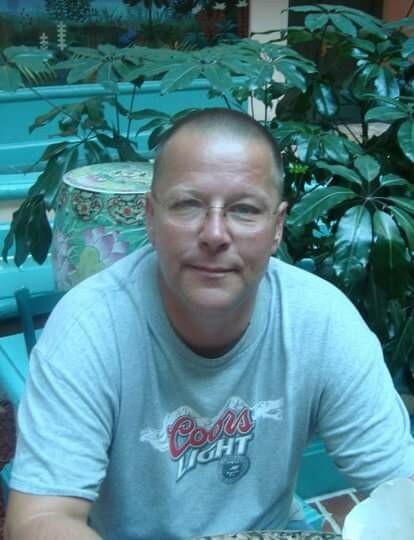 Sumter, SC…Billy Dean Zapf, age 52, beloved husband of Penny Elizabeth Taylor Zapf, died on Saturday, February 2, 2019 at Prisma Health Tuomey. Born in Hof, Germany, he was the son of Ronald Allen Smith Sr. and the late Luise Zapf Pitt. Billy served his country in the US Army and went on to work as a supervisor in the finance industry. He enjoyed spending time with his family and loved making people laugh. He will be remembered as a very loving husband, father, grandfather, brother, and friend. Billy was of the Baptist Faith. Surviving in addition to his wife and father are: two sons, Kris Hufford and Billy Dean Zapf, Jr.; three daughters, Crystal Hunter, Monica Zapf and Taylor Parsons; two brothers, Thomas Zapf and Lee Pitt; one sister, Barbara Zapf; four grandchildren; and a host of nieces and nephews. A celebration of life will be held on Saturday, February 9, 2019 from 2:00-5:00 pm at the Birnie Hope Center, 210 S. Purdy Street, Sumter with the memorial service and military honors beginning at 2:30 pm.